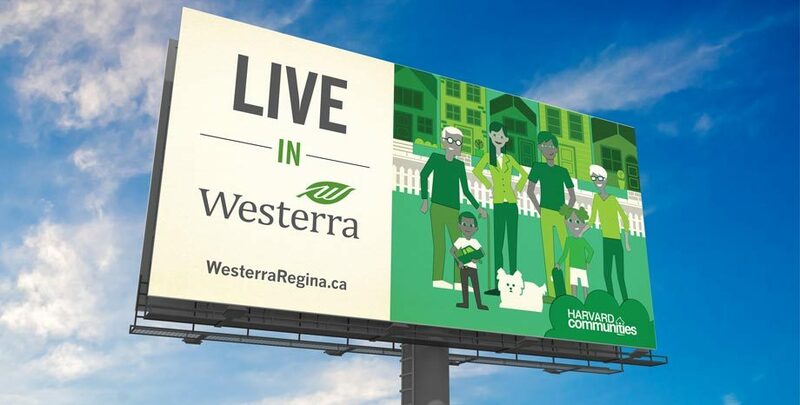 In a city where new neighbourhoods seemed to be popping up monthly, it was important to the developers that this complete community would stand out from the rest. 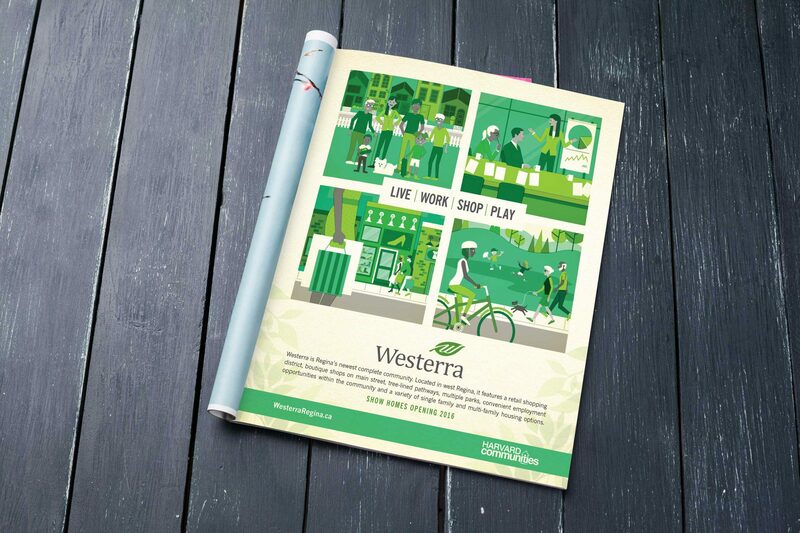 After leading an in-depth brand discovery session with our clients, we were able to develop a one-of-a-kind identity, including the Westerra name, logo, tagline, visual ID, and language. 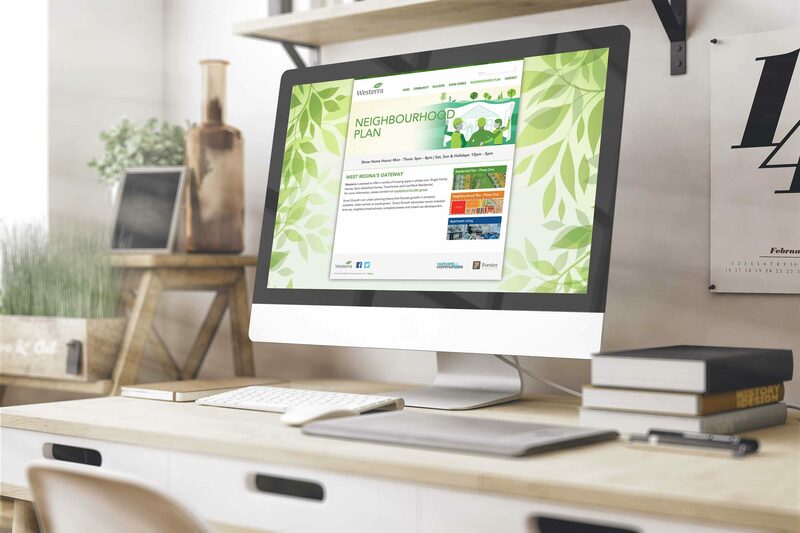 The tagline “A New Neighbourhood, Designed Differently” successfully communicated that this community would be completely unique. 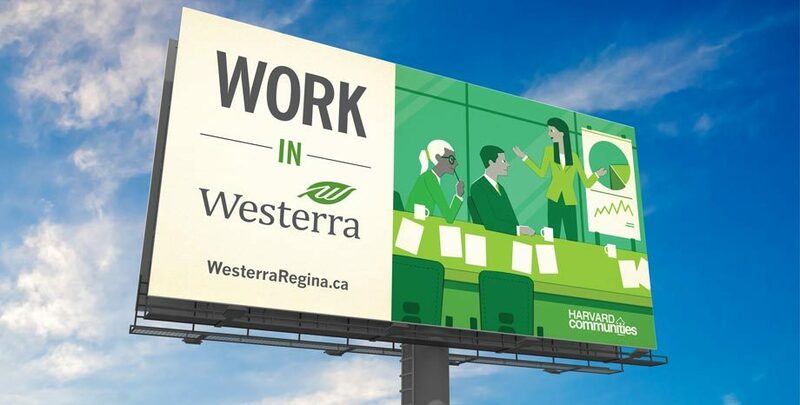 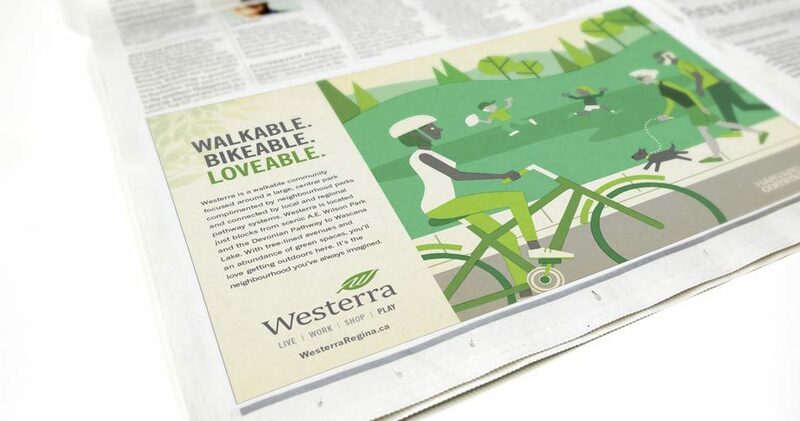 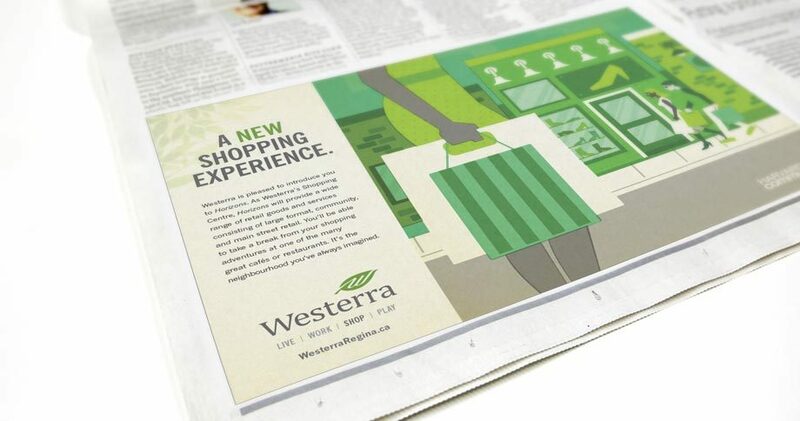 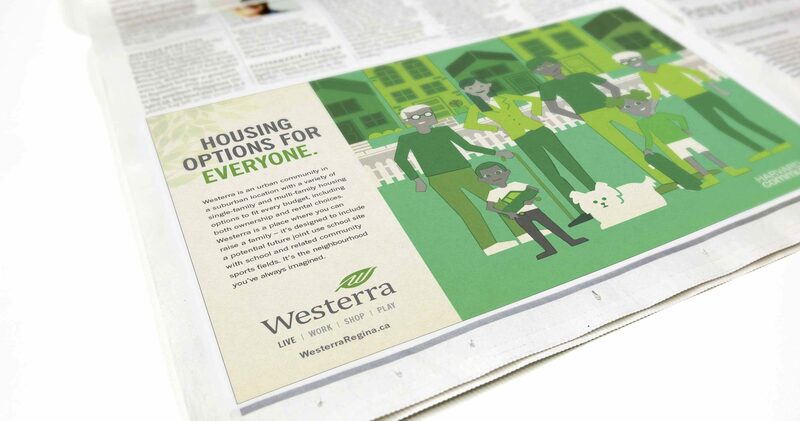 All visuals, including original illustrations, were designed to highlight and emphasize the fact that Westerra is unlike any other community in Regina. 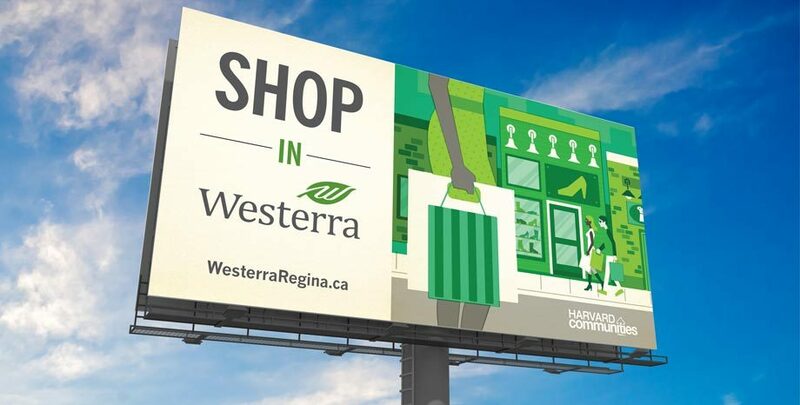 Creative executions supported this idea by highlighting various features that would be available within the community, including a wide variety of housing styles, ample green spaces, retail and boutique shopping, as well as a business park. 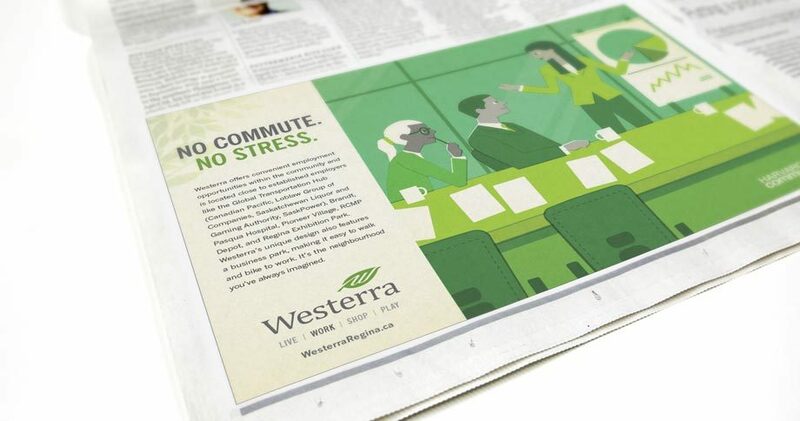 The launch campaign included a wide media mix, including outdoor, online, television, cinema, transit, print, and social media posts.